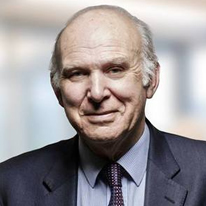 The Warwick Policy Lab and the Warwick Economics Summit are pleased to host a guest lecture by Sir John Vincent Cable, a British politician who was the Secretary of State for Business, Innovation, and Skills from 2010 to 2015 as well as the Member of Parliament for Twickenham from 1997 to 2015. "'Are we heading for a fresh economic crisis." Before starting his career in politics, Vince Cable studied economics at the University of Cambridge and the University of Glasgow. He served as a Treasury Finance Officer to the Government of Kenya between 1966 and 1968. In the 1970s, Cable was special advisor to John Smith when the latter was Industry Secretary. In addition, he was an advisor to the British government and then to the Commonwealth Secretary-General in the 1970s and 1980s. In 1982, Cable joined the Social Democratic Party – which later merged with the Liberal Party to form the Liberal Democrats. He held the position of the Shadow Chancellor of the Exchequer, speaking on issues based on finance, European Economic and Monetary Union, and the City. He was Shadow Secretary of State for Trade & Industry from 1999-2003, became Treasury Spokesman in 2003, and was elected Deputy Leader of the Liberal Democrats in 2006. In 2010, he was chosen by David Cameron to become Secretary of State for Business, Innovation and Skills, a post he held until the General Election of 2015. He was knighted in the 2015 Dissolution Honours Lists on 27 August 2015.